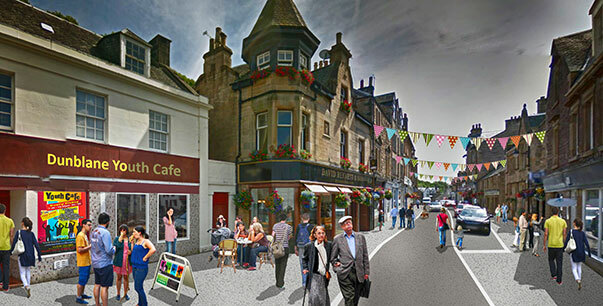 In April 2015 Willie Miller Urban Design was part of a design team led by PAS, to develop a ‘Vision and Town Centre Action Plan’ for Dunblane Town Centre. 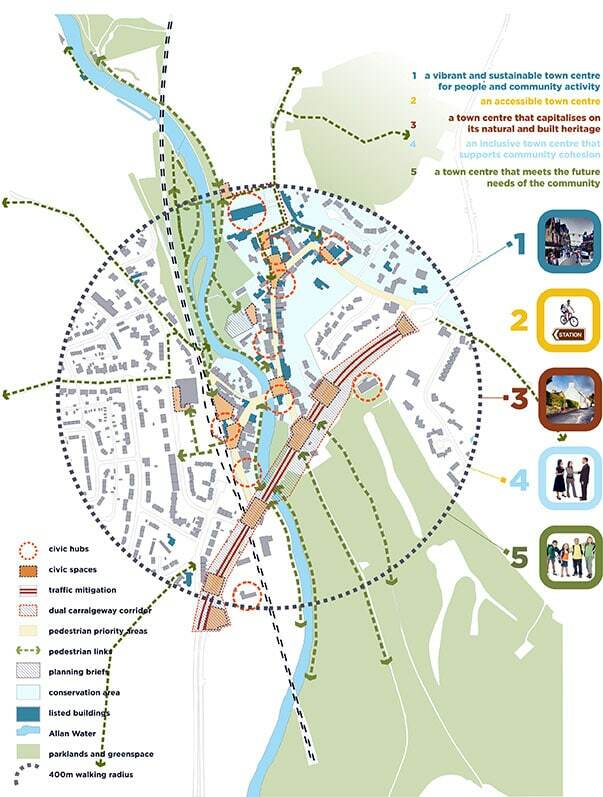 It was the first community-led charrette in Scotland with the aim to develop, ‘… a spatial strategy that is integrated with community planning…’. PAS undertook intensive pre-Charrette engagement and consulted with stakeholders, created an online and paper survey, facilitated youth workshops and held themed pre-Charrette agenda setting sessions. The Charrette ran for 4 days and was attended by almost 200 people. The main focus was around themes that emerged in the pre-Charrette consultation: traffic and parking, facilities and open space, business in the town centre, movement networks and the environment, upkeep and appearance and heritage. Daily workshop sessions identified priorities for action and potential solutions for current problems. 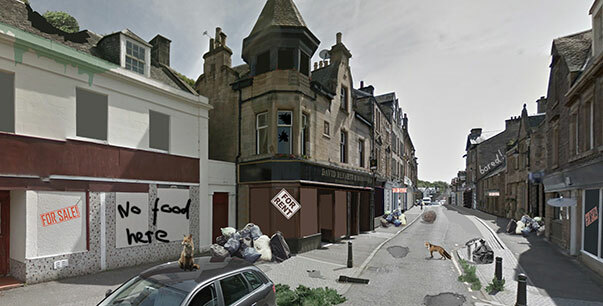 Public realm improvements along High Street were proposed in order to create a more pedestrian friendly and active environment. This in turn would help to reduce traffic speeds and encourage getting more business and people back into the town centre. A surface change of the roundabout at the north end of High Street was proposed together with a reduction in carriageway width, giving more space to pedestrians and creating a café garden to support local economic activity. A re-visioning of the dual carriageway running to the east of the town centre proposed slowing traffic by narrowing lanes, widening footpaths and providing cycle paths. This would create an all-around better pedestrian environment and reduce traffic dominance.